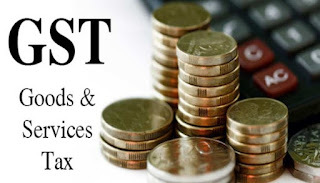 (1) There shall be levied a tax called the Central/State Goods and Services Tax (CGST/SGST) on all intra-State supplies of goods and/or services at the rate specified in the Schedule . . . to this Act and collected in such manner as may be prescribed. (2) The CGST/SGST shall be paid by every taxable person in accordance with the provisions of this Act. (3) Notwithstanding anything contained in sub-section (2), the Central or a State Government may, on the recommendation of the Council, by notification, specify categories of supply of goods and/or services the tax on which is payable on reverse charge basis and the tax thereon shall be paid by the person receiving such goods and/or services and all the provisions of this Act shall apply to such person as if he is the person liable for paying the tax in relation to such goods and/or services. Provided that no such permission shall be granted to a taxable person who effects any inter-State supplies of goods and/or services. Provided further that no such permission shall be granted to a taxable person unless all the registered taxable persons, having the same PAN as held by the said taxable person, also opt to pay tax under the provisions of this sub-section. (2) A taxable person to whom the provisions of sub-section (1) apply shall not collect any tax from the recipient on supplies made by him nor shall he be entitled to any credit of input tax. Provided that no penalty shall be imposed without giving a notice to show cause and without affording a reasonable opportunity of being heard to the person proceeded against. Provided that an agriculturist shall not be considered as a taxable person. (2) The Central Government, a State Government or any local authority shall be regarded as a taxable person in respect of activities or transactions in which they are engaged as public authorities other than the activities or transactions as specified in Schedule IV to this Act. (c) any person, liable to pay tax under sub-section (3) of section 7, receiving services of value not exceeding ______ rupees in a year for personal use, other than for use in the course or furtherance of his business. (1) If the Central or a State Government is satisfied that it is necessary in the public interest so to do, it may, on the recommendation of the Council, by notification, exempt generally either absolutely or subject to such conditions as may be specified in the notification, goods and/or services of any specified description from the whole or any part of the tax leviable thereon. Explanation.- Where an exemption under sub-section (1) in respect of any goods and/or services from the whole of the tax leviable thereon has been granted absolutely, the taxable person providing such goods and/or services shall not pay the tax on such goods and/or services. (2) If the Central or a State Government is satisfied that it is necessary in the public interest so to do, it may, on the recommendation of the Council, by special order in each case, exempt from payment of tax, under circumstances of an exceptional nature to be stated in such order, any goods and/or services on which tax is leviable. under sub-section (1) or order issued under sub-section (2), insert an explanation in such notification or order, as the case may be, by notification at any time within one year of issue of the notification under sub-section (1) or order under sub-section (2), and every such explanation shall have effect as if it had always been the part of the first such notification or order, as the case may be. (b) be made available on the official website of the department of the Central or a State Government. (1) The Central or a State Government may, by rules made under this sub-section, provide for remission of tax on such supplies which are found to be deficient in quantity due to any natural causes. (2) Any rules made under sub-section (1) may, having regard to the nature of the supply, fix the limit or limits of percentage beyond which no such remission shall be allowed.